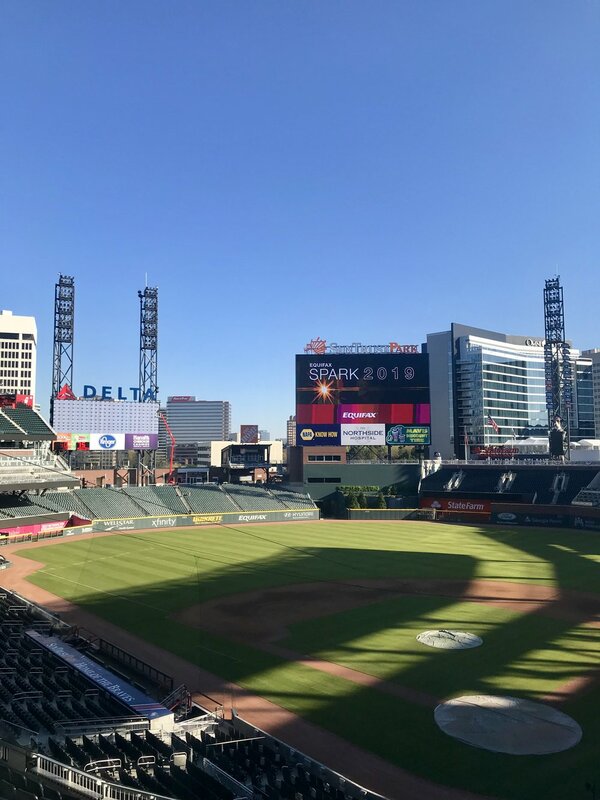 Last week, the events team headed south and joined Equifax for their first ever customer conference in Atlanta. 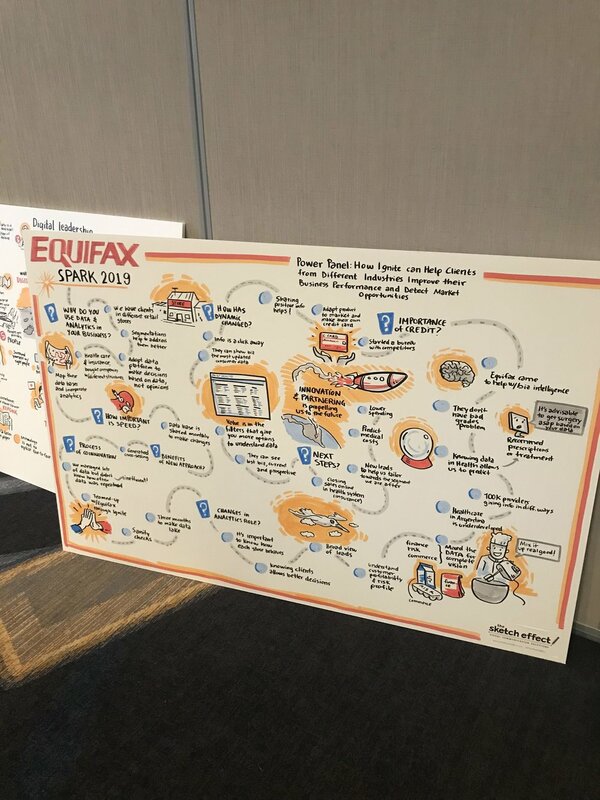 More than 250 of Equifax’s customers and partners from financial institutions and Fortune 500 companies, including SunTrust, Bank of America, Cox, and CreditKarma, attended Spark to learn about the latest trends and industry insights in consumer credit. 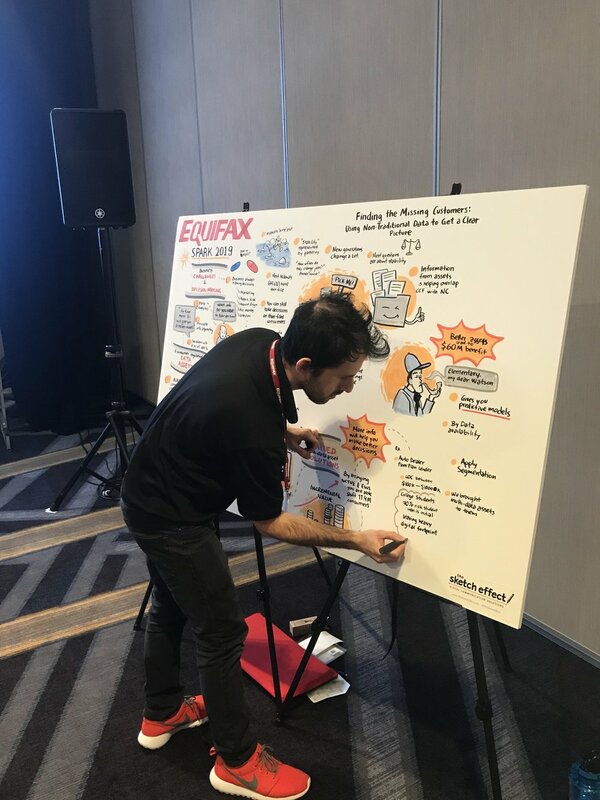 In the spirit of sparking inspiration and innovation, Equifax Chief Data and Analytics Officer Prasanna Dhore opened the conference by sharing his personal journey as an immigrant and how he built his credit from zero over the decades. His talk highlighted the information asymmetry that can exist between credit consumers and financial institutions. Day 1 of Spark continued with the announcement of a new strategic partnership between Equifax and FICO. In today’s information age, Equifax and their partners have more data, technology, and analytics than ever before. More accurate customer views allow for smarter decisions for financial institutions and lenders, and more importantly, better credit access for consumers and a stronger economy for everyone. To accompany this philosophy, the new partnership serves help lenders better understand their consumers. The rest of the content followed the key themes of data, analytics, and identity. Notable sessions covered the significance of data indicators such as student loan history, employment trends, generational differences; new analytics technologies such as explainable AI that are powering tools to better understand and predict consumer habits and behavior; and the role of identity to combat fraud and mitigate risk. 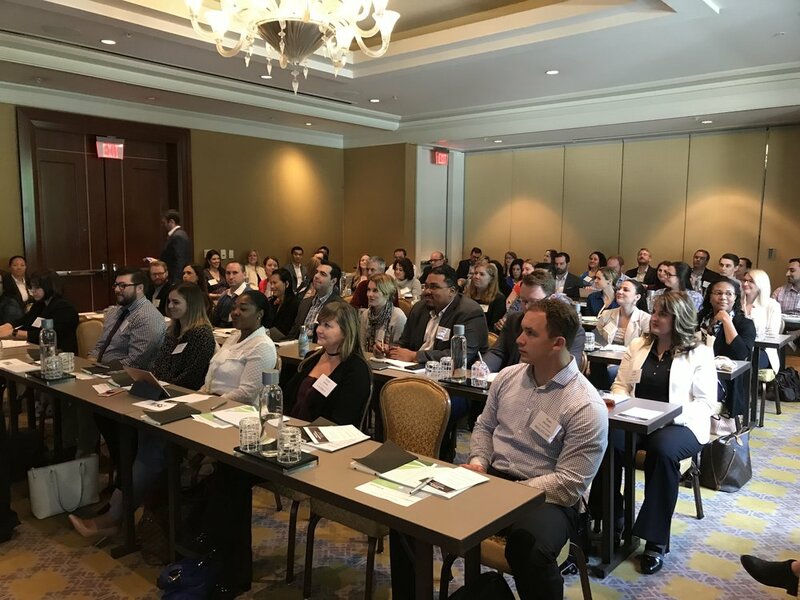 After an eventful two days of thought-provoking content and demos, Spark left attendees feeling inspired and empowered to tackle the biggest challenges for our economy and consumer credit. Interested in planning a customer conference like Spark? 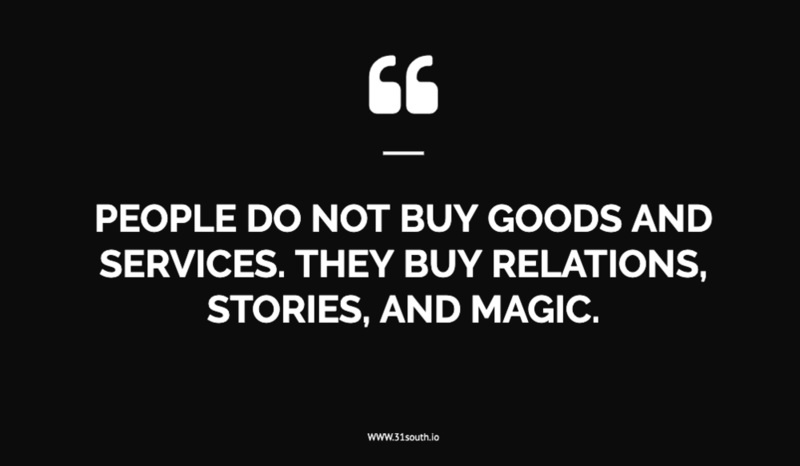 Let’s connect at events@credpr.com. See more of our event management here. 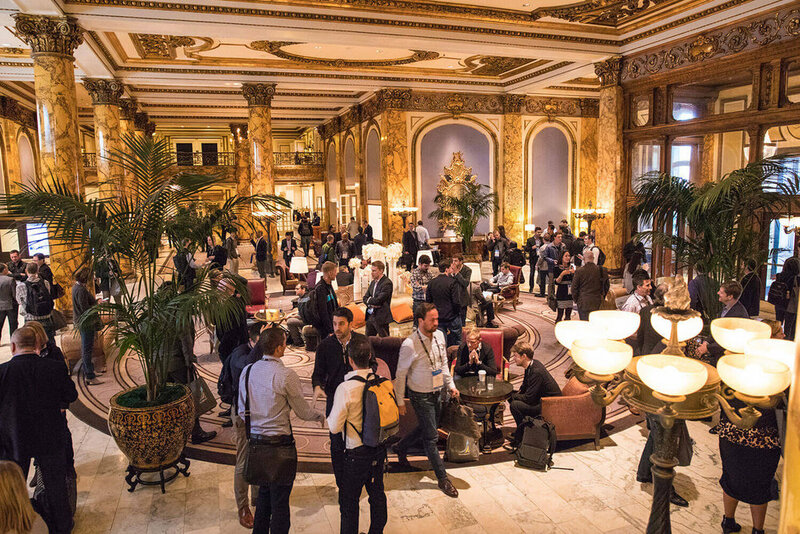 March 5th and 6th were filled with excitement as RampUp 2018 took over the Fairmont Hotel and the Masonic in San Francisco. We’ve been working with LiveRamp for months to secure close to 170 speakers for this rapidly growing convention of the brightest minds in Digital Marketing and data. We curated 48 sessions of panels, chats, and presentations all focused on the “future of marketing” for TV, brands, agencies, data owners, and publishers. The first day kicked off with a great conversation between Wells Fargo CMO Jamie Moldafsky and LiveRamp’s Allison Metcalfe. One underlying theme of their conversation was how customers are at the center of everything. Tuesday brought almost 2,500 attendees and a powerhouse panel of CMOs to kick things off, including former CMO of Airbnb - Jonathan Mildenhall, Cisco CMO - Karen Walker, TripAdvisor CMO - Barbara Messing, and Adobe CMO - Ann Lewnes. The five had an amazing chemistry onstage as they discussed the digital marketing ecosystem. Throughout the day, we loved seeing some of our clients show their expertise: Dan Greenberg of Sharethrough, Joanne Chen of Foundation Capital, Matt Keiser of LiveIntent, Thomas Walle of Unacast, Kamakshi Sivaramakrishnan of Drawbridge, Omar Tawakol of Voicera and finally Eva of Voicera (a bot who took notes during Omar’s session). Nate Silver, American statistician and Author of The Signal and the Noise, closed off the event with an engaging talk about Data and Predictions. 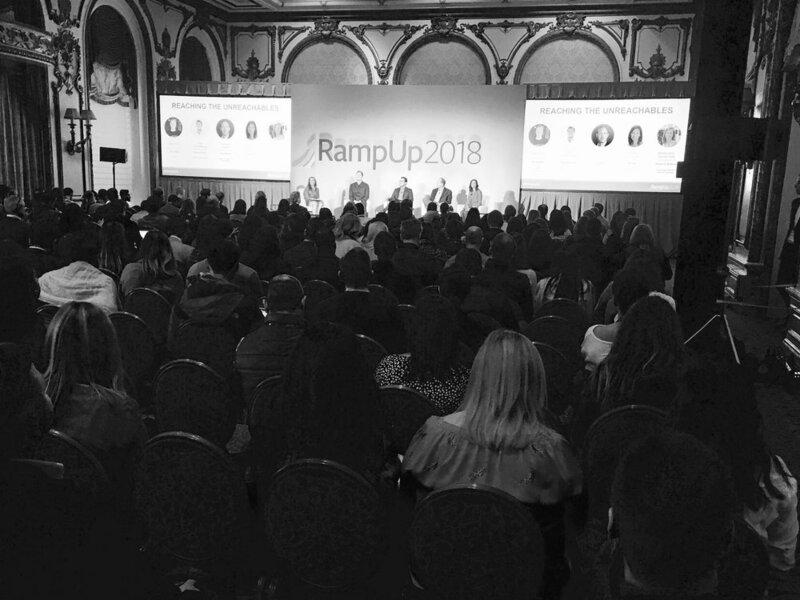 We’ve loved being involved the past three years as RampUp becomes one of the go-to events in the data-driven ecosystem. We're looking forward to great things for RampUp 2019! cred team @ RampUp 2018!